<firstimage=”//static.makeuseof.com/wp-content/uploads/2010/06/0-fb-alt-intro.jpg”> A lot of the blog content we consume each day is from our feed readers. It would be nice to remember to visit all of our favorite blogs each day but feed readers allow us to consolidate all of this information so we don’t miss anything. It’s more practical, which is why a lot of people who follow multiple blogs tend to use them. 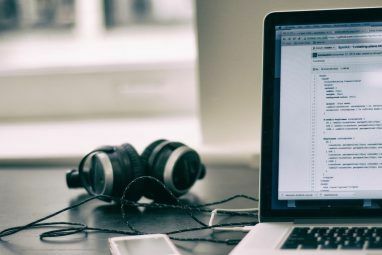 Whether you’re using a feed reader to manage all of your RSS feeds or you are managing your blog’s feed yourself, chances are you’re using Feedburner to do it. Feedburner is the standard when it comes to feed syndication, and alternatives are hard to come by. 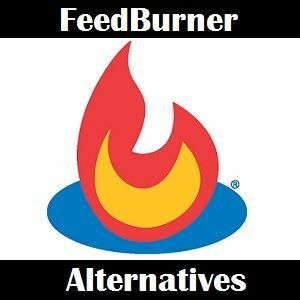 I’ve taken it upon myself to locate the best alternatives to Feedburner online. It wasn’t easy, but if you’re looking to try something different or migrate your feed syndication needs elsewhere, you’ve come to the right place. Feedcat is one such alternative to Feedburner. They allow you to promote your feed content and measure audiences with their bookmarking, sharing, and proxy services. The site is dedicated to boosting feeds and serves as a public catalog of RSS and Atom feeds. Services and feed submission are free. Feedcat also enables you to place a feed button anywhere on your site. The number of readers/subscribers you have is monitored through the button and it provides an easy way to for people to subscribe to your feed. The service claims to have served over 50 million icons monthly. 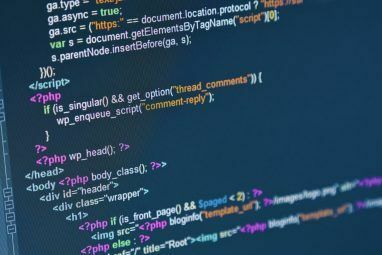 Feedity creates an RSS feed for any webpage and allows for social media monitoring, the aggregating of multiple feeds, and publishing of feeds on your website. Feedity offers a few different pricing plans but they do have a free option. They claim no setup or termination fees and that their site will always have a free option. With the free package, you are allowed 10 feeds with a feed update interval of 5 hours (not great, but not bad for personal use), and the inclusion of ads in your feed. With RapidFeeds you can create, publish, import, or manage existing feeds. Password protect your private or paid feeds and update/schedule your feeds in real-time. One plus with RapidFeeds is that it supports podcasting with iTunes, which means you could broadcast your thoughts and ideas if you wanted to start up your own podcast. RapidFeeds has a free option of their FeedManager packages that allows for 1 feed, an unlimited number of items, iTunes support, scheduling, password protection, and regular support. Other options include advanced tracking statistics, auto tweet capability, and a branded feed URL. PostRank, which we covered a long time ago, is a great alternative to Feedburner. The reason I’m only giving it an honorable mention in this article is because it appears that it no longer supports a free option for its users (at least I couldn’t find one). I am not aware if this will change in the future but PostRank is used by a lot of top websites and is definitely worth a mention. The service is very analytical and is the largest aggregator of social engagement data in the industry. 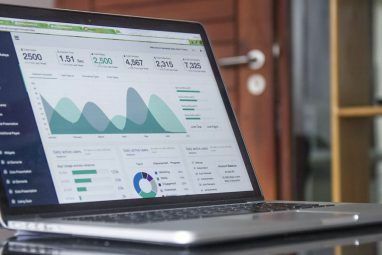 PostRank collects social engagement data that measures user activity, which they claim is the most accurate indicator of the relevance and influence of a site. Much RSS and content data is monitored and analyzed with this service. In conclusion, there really isn’t a solid, free alternative to Feedburner. If you are looking for a simpler alternative that does the basic feed syndication and management things well, this list should provide a good starting point. I don’t know whether this lack of competition is due to widespread acceptance of Feedburner or not, but it is leaving those of us who would like a decent alternative shorthanded. What do you think of Feedburner’s dominance in this area? Have you used one of the above services? Leave your thoughts in the comment section below. Explore more about: RSS, Webmaster Tools. Interesting, thanks for the suggestions. I signed onto some free SEO helps with google and they were a wreck. Google couldn't find my page when typed the URL directly into the search engine. So finally I dumped all their code and my page views shot up. I would never have their code on my page again! Your welcome. For the record, Mail Chimp is actually a pretty solid service. videos and things that should help that. We use Feedburner at work and have used it for years with no problems. However over the past few weeks people haven't been receiving their email updates and I'm not having a lot of success with contacting Google to find out what the problem is. I'm not on my own, a lot of other colleagues are having the same problem too - one is looking at Mail Chimp but we envisage that because of the 500 subscriber limit that it won't be suitable - I guess our managers are going to have to put their hands in their pocket and pay for something. Will have a look at FeedCat though. Thanks for this article, it's very timely! Terrific post. Was thinking of switching from Feedburner but like you, haven't found a viable alternative. And, can't beat the price :-) Competition is always good so I hope a worthy competitor emerges soon. Meanwhile, I'll stick with Feedburner...for now. Thanks a lot Tim. I do like Feedburner, but I know there are a lot of people out there looking for alternatives, and there aren't many. I thought it said it was only free if you were using their services before January 1, 2009. Either way their pricing scheme is pretty confusing. I removed Feedblitz because it is not free. Agree, it's confusing. Finding that pricing page isn't easy either. I did include Feedblitz but it was cut in editing. Like PostRank, it doesn't appear to have a free option anymore, at least I couldn't find one anyway, but it is a solid alternative. I use also feedblitz for weekly subscription which is not provided by feedburner. I used only feedburner yet. But I do not feel easy with feedburner. So, I should try one of these above. Thanks for sharing Steven. You're welcome. I hope you find what you're looking for! I think the article missing FeedBlitz, http://www.feedblitz.com/ . I have used it in the past and found it pretty good.